Surgeon Danielle van Diepen relishes a challenge. She has chosen to specialise in robotic surgery working in the field of urology. “I like to do the challenging surgeries. The big surgeries… that’s what I’m attracted to doing,” Dr van Diepen said. 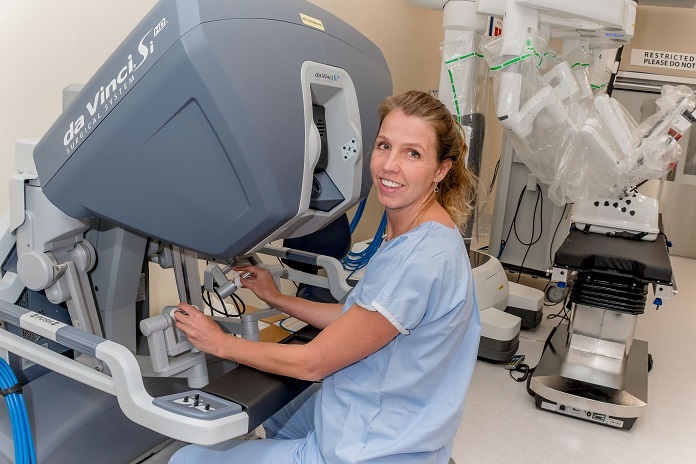 She was selected to be Sydney Local Health District’s first Surgical Robotics Research Fellow. It’s a one year fellowship based at RPA’s Institute of Academic Surgery (IAS). 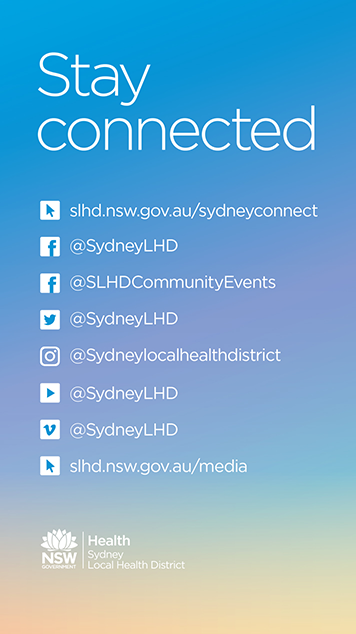 The Institute was set up in 2014 in collaboration with The University of Sydney to become a hub for surgical research and education at RPA and aims to be at the forefront of surgical practice and patient care. The fellowship was created to expand the opportunities for surgeons to gain hands-on experience, and to support research, in surgical robotics. Dr van Diepen said robotics surgery was once primarily considered “toys for the boys” but that has begun to change. “This job opportunity came up. I had operated, and had training in the area [of urology], but working on the robot was new to me,” she said. During the fellowship, she completed a combination of research and robotics-assisted training at theatres at RPA. She learnt to use the state-of-the-art da Vinci robot at RPA’s Surgical & Robotics Training Institute which is the first of its kind in the southern hemisphere. Surgeons learn basic robotic training and have the opportunity to develop their skills in advanced robotic procedures too. The robot provides surgeons with 3D vision and the controls to guide instruments during surgery allowing for less invasion operations. Dr van Diepen operated on patients – all under the watchful eye of another surgeon. “The robot is a machine that helps you to do keyhole surgery. It’s less invasive for the patient. “What I have learnt to do is removal of the prostate… [which was needed] because of prostate cancer,” she said. She also worked on robotic research protocols with robotic surgeons, Dr Scott Leslie and Associate Professor Ruban Thanigasalam. Some of her work is being presented at the European Association of Urology’s annual congress in Spain next week – which examines key advances in clinical practices and research. Dr van Diepen grateful to those who have shared their expertise during her fellowship at the District. She had moved to Sydney from The Netherlands in 2017. She plans to use the robotics and research skills she’s gained working as a robotics surgeon at a hospital in her home country.